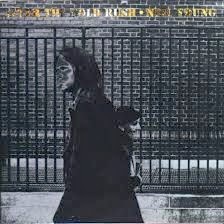 I will tell you a secret: when I cannot sleep at night I listen to "After the Gold Rush" by Neil Young. Oh, I listen to other songs too, but I keep coming back to this one. I'm not sure why. If you listen to the lyrics, it's actually a sad song, although it sings like poetry. It moves me. I love this song too! It's haunting. I haven't heard it in years--thanks so much for including the audio in your blog! I love this song too Trish, it's haunting. Brings back lots of memories....I haven't heard it in years. Thanks for including the audio in your blog! Pat, "haunting" is a perfect descriptor.